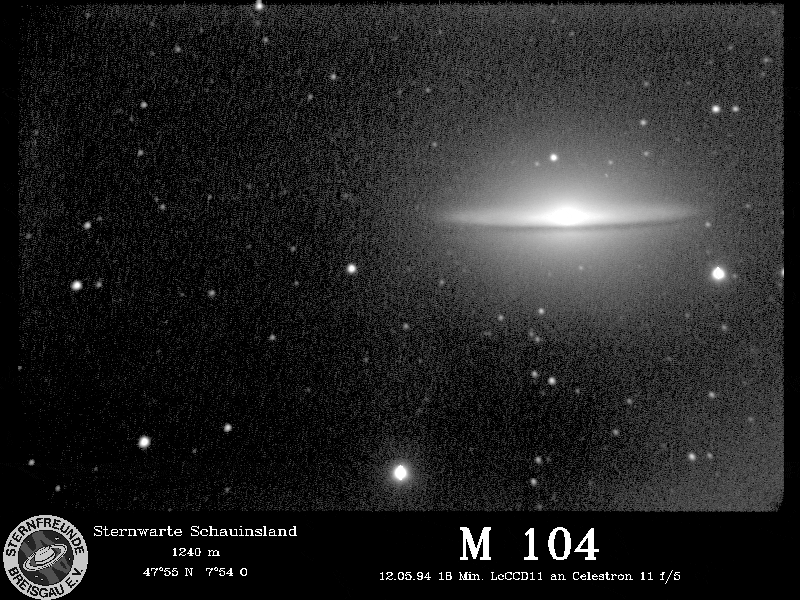 M104 as photographed by Jason Ware. 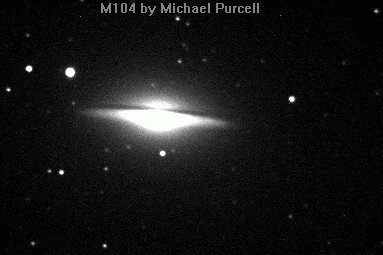 Michael Purcell's image of M104, taken on April 14, 1996 at 02:08 with his Meade 10-inch f/6.3 SC Telescope and a ST7 CCD camera, exposed 5 minutes. 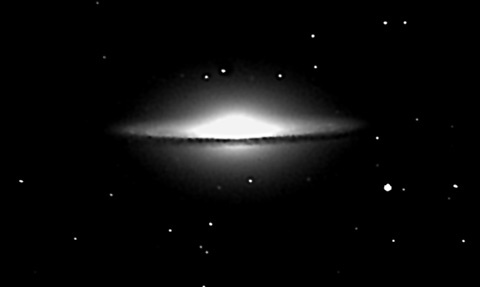 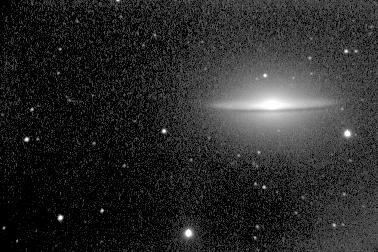 Duane Baker (DBaker1047 at aol.com) of Scurry, Texas obtained this image of the Sombrero Galaxy M104 on May 5, 1997. 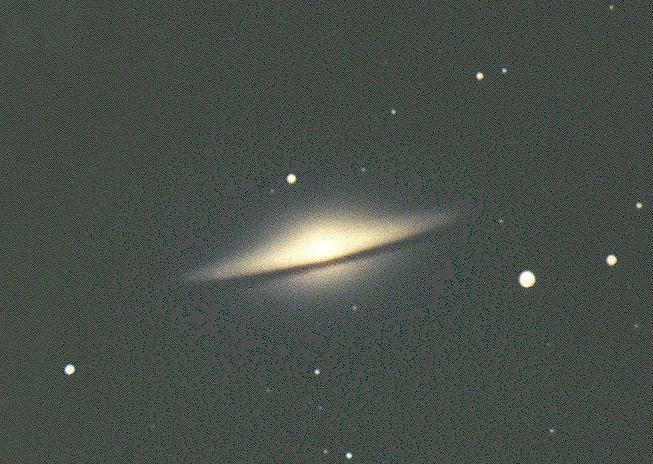 It was exposed for 300 seconds on an ST-7 CCD camera attached to a Meade 16" LX-200 at f 3.3.